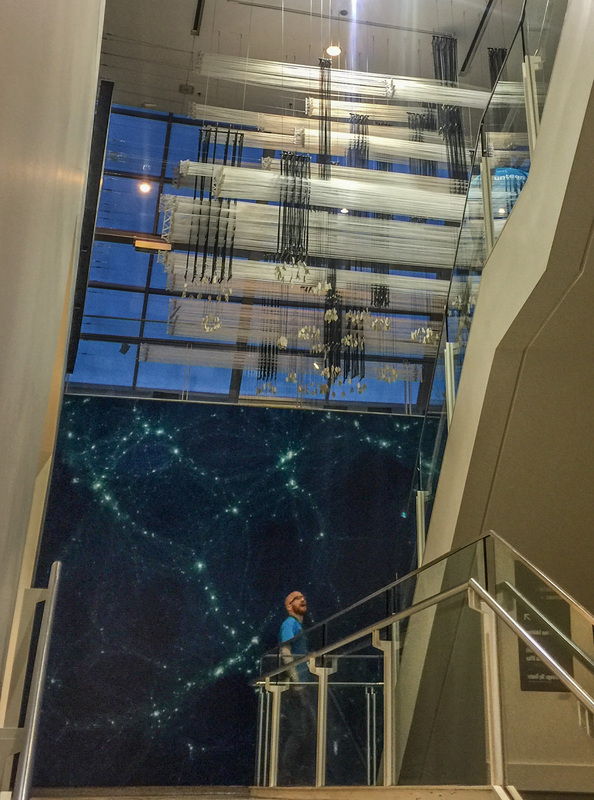 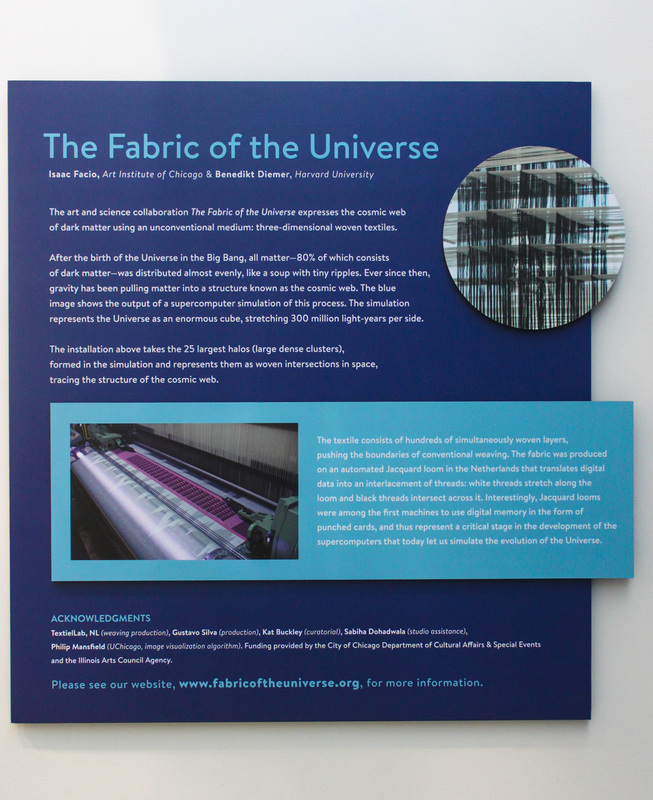 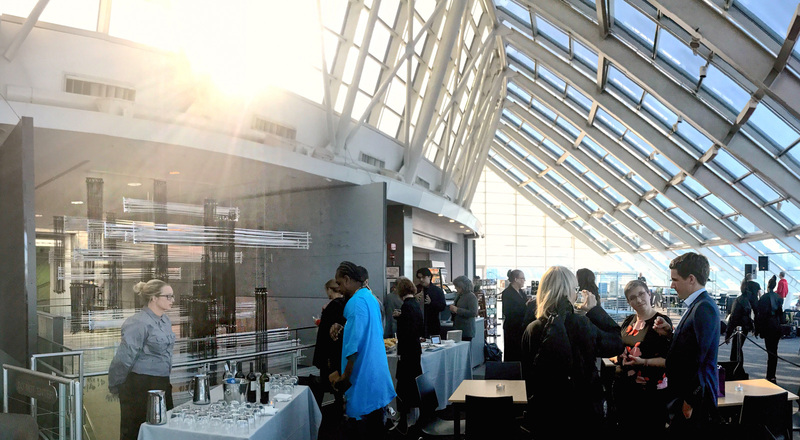 Our third textile installation was on view at Adler Planetarium in Chicago from March through November 2018. 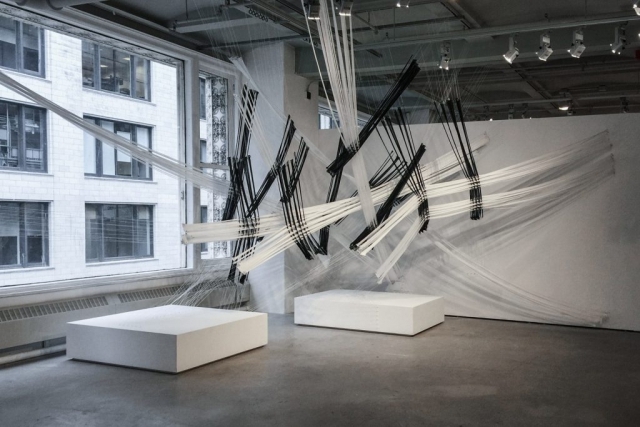 Our second textile installation was on display at the Sullivan Galleries in Chicago in April / May 2017. 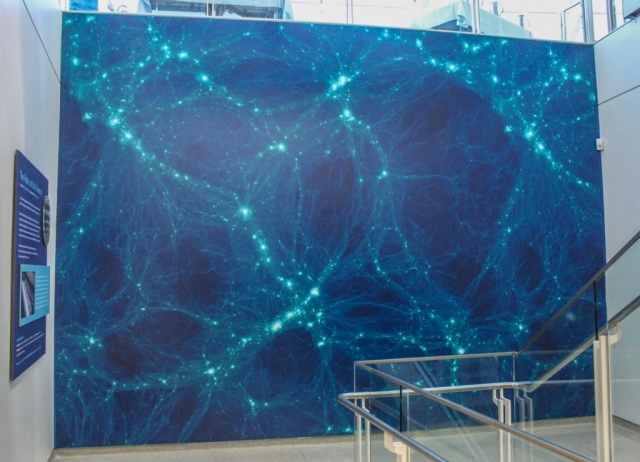 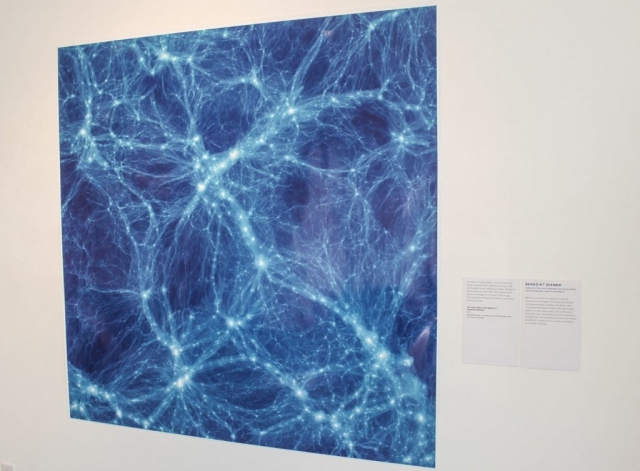 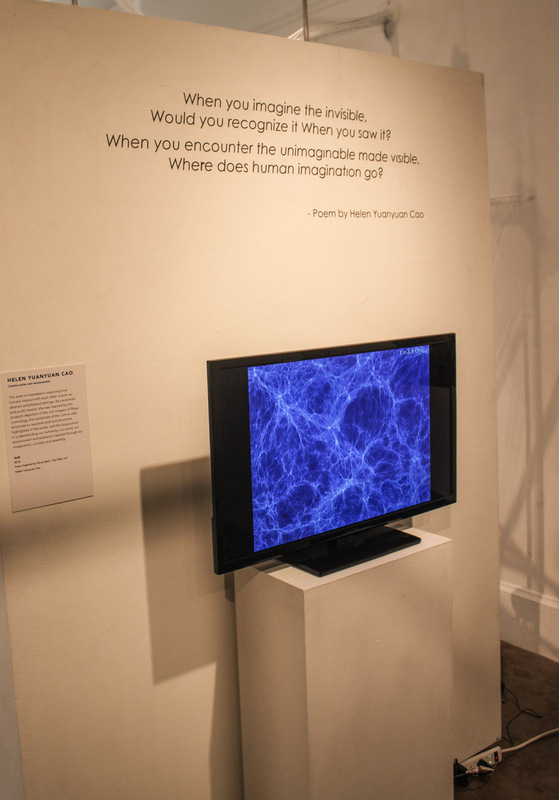 One of our 3D models of the cosmic web is part of an exhibition called “The Art of Darkness” at Fermilab. 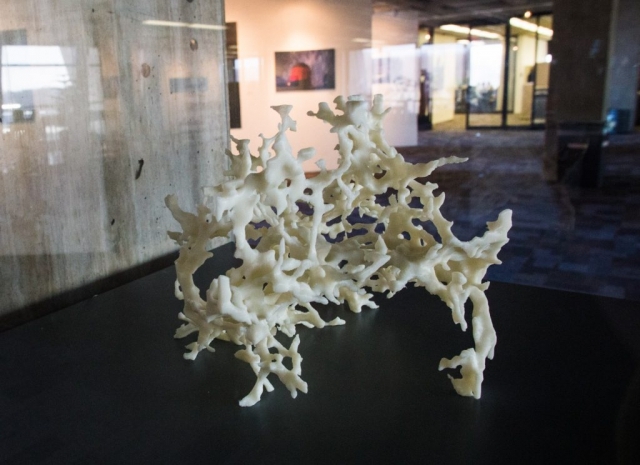 The 3D print shown below was created by James Wetzel at the University of Iowa (photo by Rashmi Shivni). 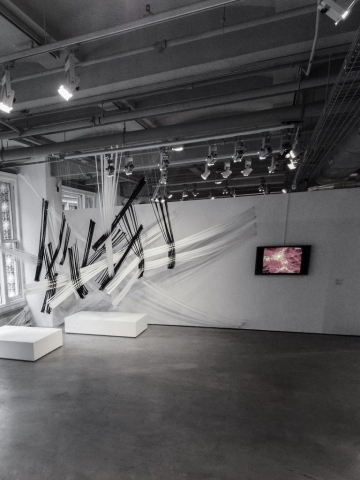 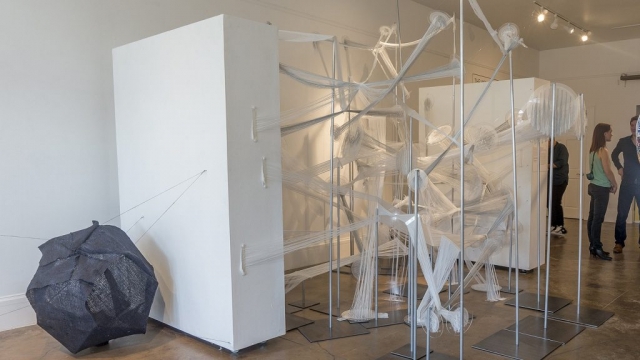 Our first large-scale textile installation was shown at the Non-Fiction Gallery in Savannah, GA, in October 2016. 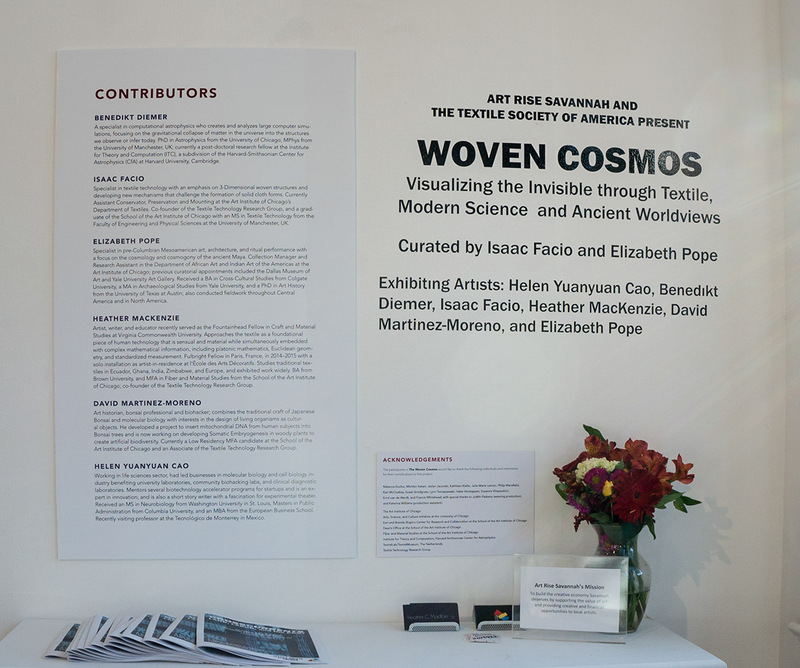 It was part of an exhibition entitled “The Woven Cosmos” in the context of the 15th Biennial Symposium of the Textile Society of America. The exhibition featured works exploring the connection between the cosmos and textiles, from the beliefs of the ancient Maya to dark matter in modern computer simulations. 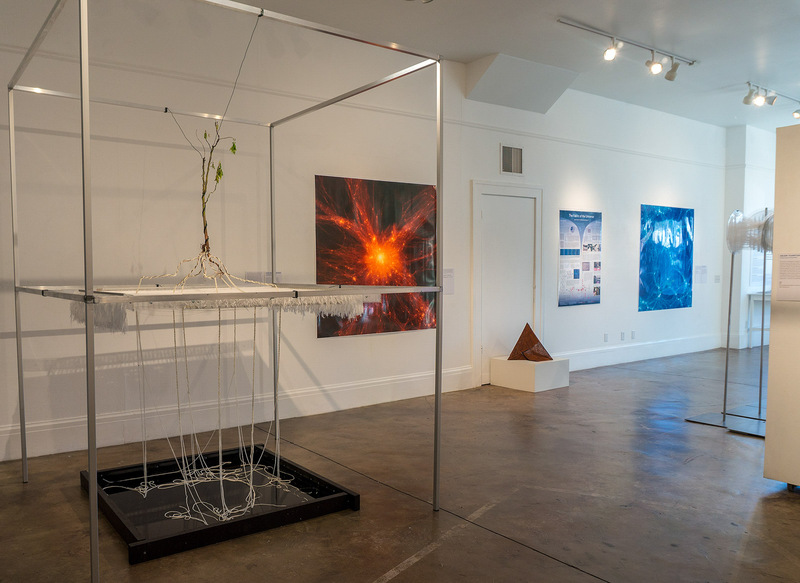 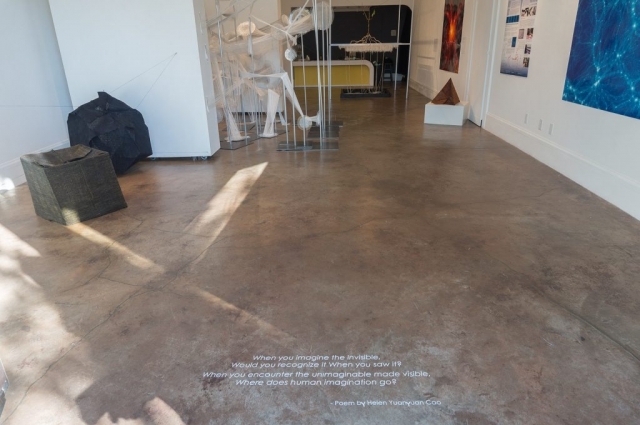 For this exhibition, we collaborated with David Martinez-Moreno, Heather McKenzie, and Elizabeth Pope. Some of the photos below were taken by David Martinez-Moreno.